Luggage Guy offers 35% off sitewide via coupon code "2DAY". 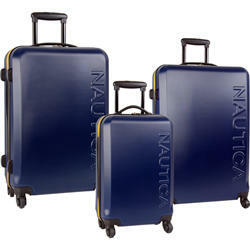 LuggageGuy offers the Nautica Luggage Ahoy 21" Hardside Spinner, in 3 colors, for $79.95. Coupon code 35LG drops it to $51.97 + free shipping. Nautica Ahoy 25" Spinner in 6 colors, for $58.47 after code. Nautica Luggage Ahoy 28" Spinner in 2 colors, for $64.97 after code. 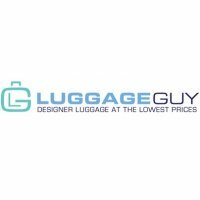 Luggage Guy offers 35% Off Sitewide + Free Shipping via coupon code "35LG". Coupon code FRESH drops it to $51.97 + free shipping. Coupon code SALE35 drops it to $51.97 + free shipping. 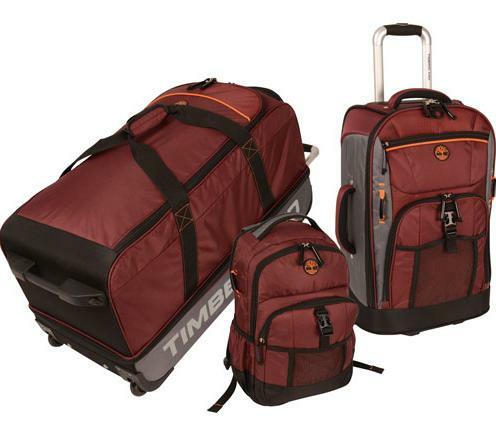 Luggage Guy offers the 4-Piece Timberland Claremont Luggage Set for $251.97 via coupon code "LGCL". Amazon sells them for $332, with excellent reviews. Includes: a 30" wheeled suitcase, 26" wheeled suitcase, 21" wheeled carry-on and 17.5" backpack. 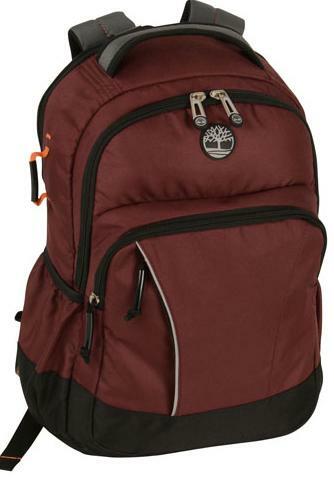 Luggage Guy offers the Timberland Danvers River 17 Inch Backpack in 2 colors, for $26.37 via coupon code GRLG. Features: 100% Polyester, Imported, Lightweight and durable 600d x 600d polyester fabric, Contains no PVC, Backpack features a laptop compartment, interior organizer, and a spacious main compartment. Coupon code AHOYLG drops it to $51.97 + free shipping. Nautica Ahoy 24" Spinner in 6 colors, for $58.47 after code. 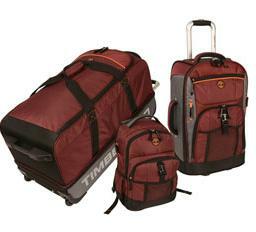 Luggage Guy offers the Travel Gear Orion 4 Piece Spinner Luggage Set in 2 colors, for $129.97 via coupon code "TGRN". 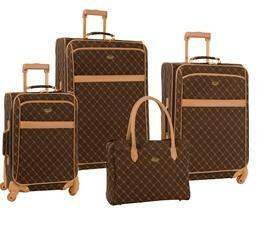 Includes: 28" Expandable Spinner, 24" Expandable Spinner, 20" Expandable Carry On, 16" Tote. Luggage Guy offers the Nautica Landfall 3 Piece Hardside Spinner Luggage Set in 3 colors, for $188.47 via coupon code "LDNT". Features：Nautica Landfall 3 Piece Hardside Spinner Luggage Set features a lightweight hardside shell, an eight wheel spinner system for easy rolling and the ability to expand for added packing capacity. Luggage Guy offers the Timberland Hampton Falls 3 Piece Luggage Set in 3 colors, for $129.97 via coupon code "LDLG". Includes: a 30" wheeled duffle, 21" wheeled carry-on and a 17.5" backpack. 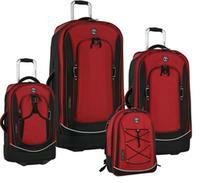 LuggageGuy offers the Nautica Luggage Ahoy 21" Hardside Spinner, in 5 colors, for $79.95. Coupon code AHOYLG drops it to $51.97+ free shipping. Nautica Ahoy 24" Spinner in 6 colors, for $48.72 after code. Luggage Guy offers the 3-Piece Timberland Hampton Falls Luggage Set for $131.99 via coupon code "LGFD". 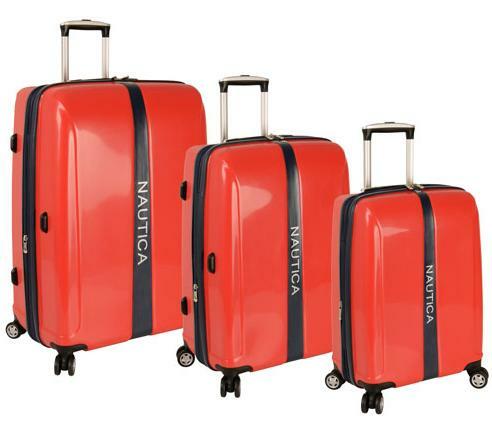 Luggage Guy offers the Nautica Landfall 3 Piece Hardside Spinner Luggage Set for $162.47 via coupon code "LDNT". 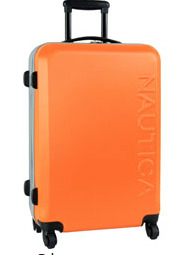 LuggageGuy offers the Nautica Luggage Ahoy 21" Hardside Spinner, in 5 colors, for $64.95. Coupon code AHOYLG drops it to $42.22+ free shipping. 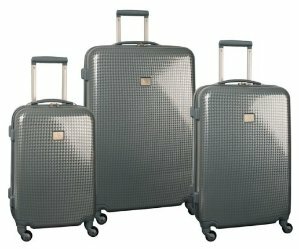 [Out of Stock] Nautica Luggage Ahoy 28" Spinner in 4 colors, for $64 after code. 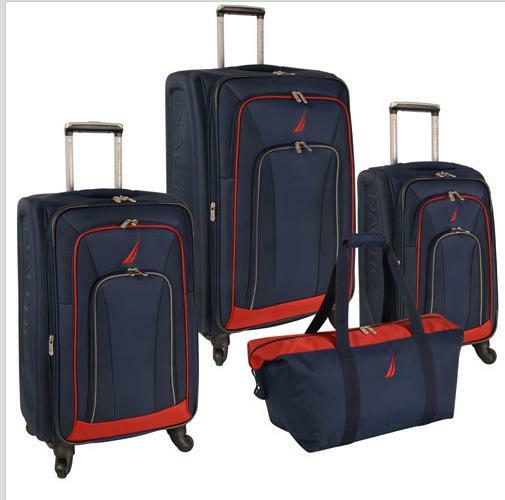 Luggage Guy offers the Nautica Timoneer 4 Piece Spinner Luggage Set for $240.47 via coupon code "NTTM". Nautica Ahoy 24" Spinner in 6 colors, for $58 after code.